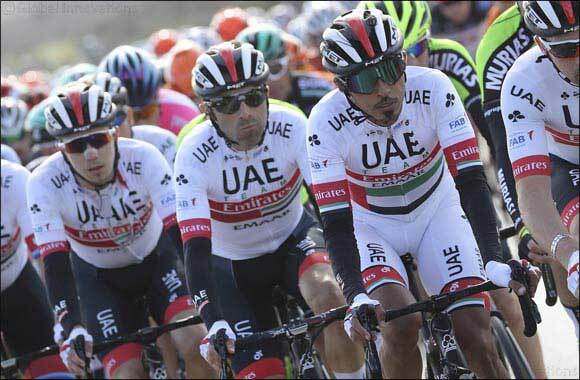 Dubai, UAE, April 02, 2019: UAE National Champion, Yousif Mirza returns to action following a successful ride at the Tour of Egypt where the Emirati picked up an impressive Stage win. Mirza will provide support at the Giro di Sicilia (3-6 April) for General Classification (GC) hopeful Kristijan Durasek. Joining the team will be Jan Polanc, Simone Petilli, Ivo Oliveira, Roberto Ferrari and Juan Sebastian Molano. The Giro di Sicilia debuts on the UCI calendar in 2019 and provides spectators in Southern Italy a chance to get a taste of road racing ahead of the Giro d’Italia this May. The four-stage race will play out across the hills of Sicily, with Stage one setting off from the town of Catania on the east coast of the island. With a relatively short 165km route ahead and just one significant climb, a bunched sprint finish is to be expected. Stage two will be a slightly different affair, with riders battling a hilly course and a difficult climb midway through the 236km race. The parcours could favour the breakaway, especially if they get to the final 30km with a large enough time gap from the chasing group. Stage three will be another tricky test for the riders, particularly in the final 40km with a difficult climb that peaks 20km from the finish line; it could provide the perfect opportunity for an attack. The final stage is where this race will likely be won – a mammoth summit finish at Mount Etna. The 122km route starts off with an uphill battle of over 50km, followed by a flatter section offering riders a brief respite before they start the ascent of Etna at 93km. UAE Team Emirates’ Jan Polanc knows this climb extremely well, having won the Giro d’Italia stage here in 2017.